I love to try different one pot meals / Biryani. My helper was talking about this biryani for quite sometime. But I was not sure and recently I saw this post in some blogs. Yakhni means Soup / stock. 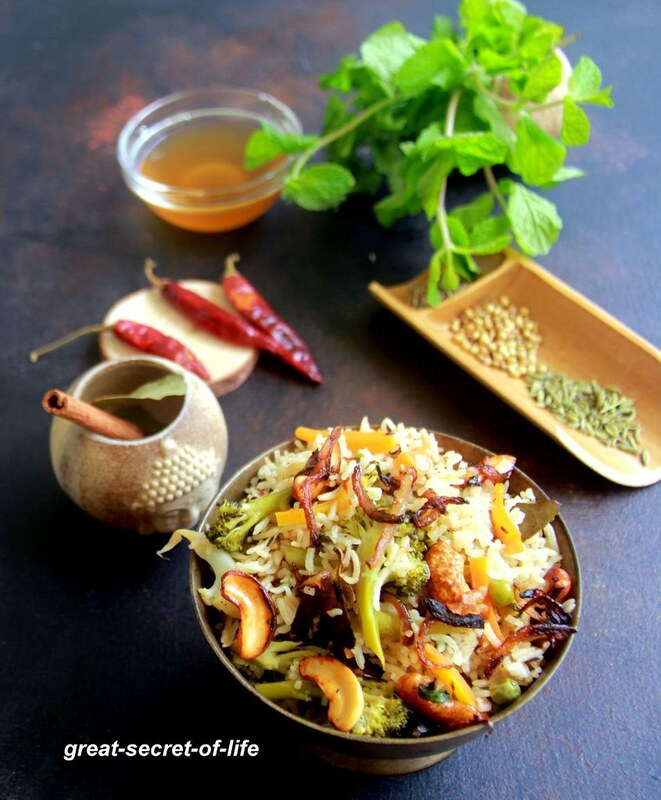 Cooking Rice and vegetables in spiced yakhni really gives nice tasty biryani. It is quite simple even bachelors can try it out. Perfect for lazy weekends or party rice. 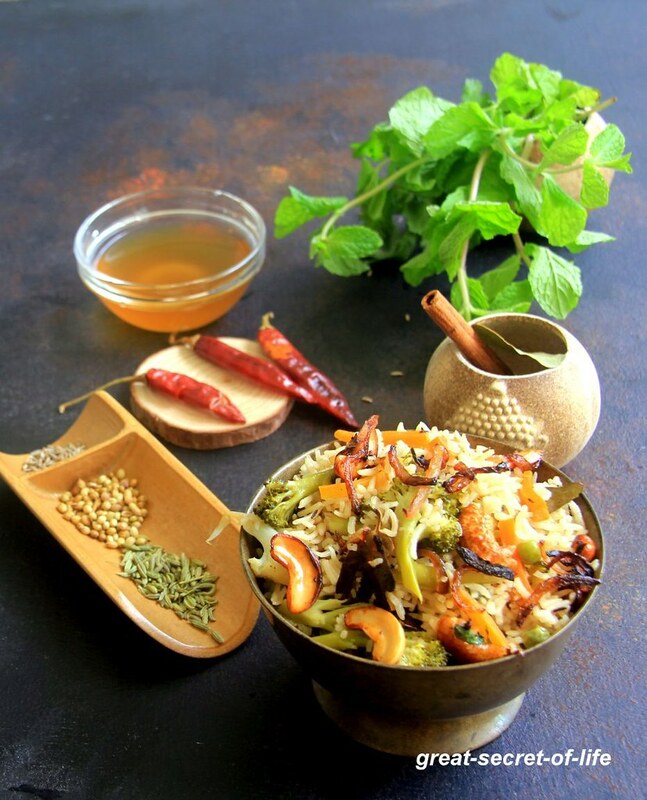 Since it is less masala you can easily pair with any side dish or raita. My helper told me normally this is done with chicken. I don't cook Non veg at home. So I decided to do it with Vegetables. I didn't add vegetables while cooking soup. As I wanted Vegetable to be more crispy not over cooked. But if you want you can add at the time you make soup and take it and use it for rice. In soup pot add 3.5 cup of water. Add all the ingredients under for Yakhni section. Let it boil for 20 in low medium flame. Switch it off and strain it. Keep the water discard the rest. In same pan add shani jeera and bay leaves fry for 10 sec. Add Vegetables and mix well. Add Yogurt and mix well. Add 2.5 cup of Yakhini let it boil. Add rice, Lemon juice and adjust salt. Cover it with cloth and lid Place the weight on top. Reduce the flame completely. Such a flavorful pot of rice!!! I would have even loved to have that soup as is! Delicious biryani ..............love it any time. 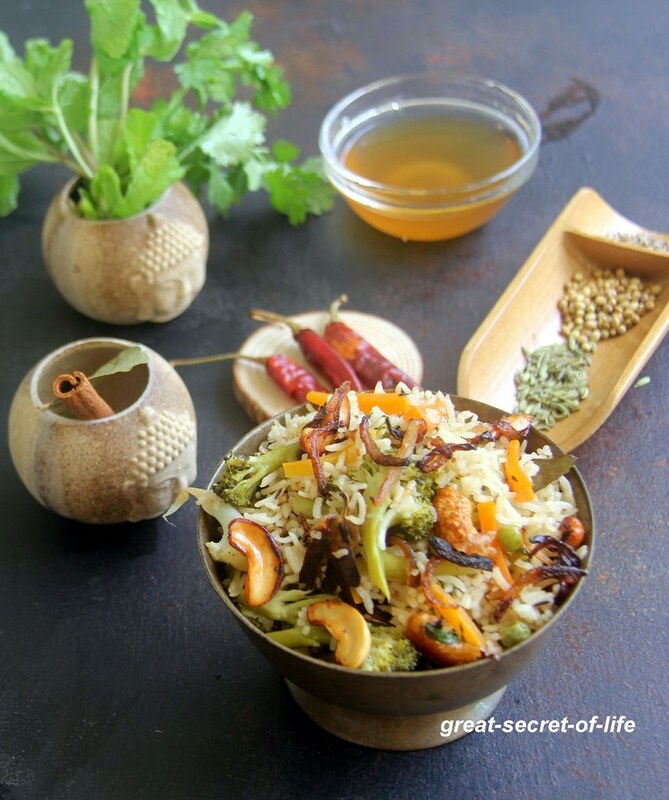 Very flavourful pulao! looks colourful with all the veggies!